Agios Ioannis Beach. Only for Few. 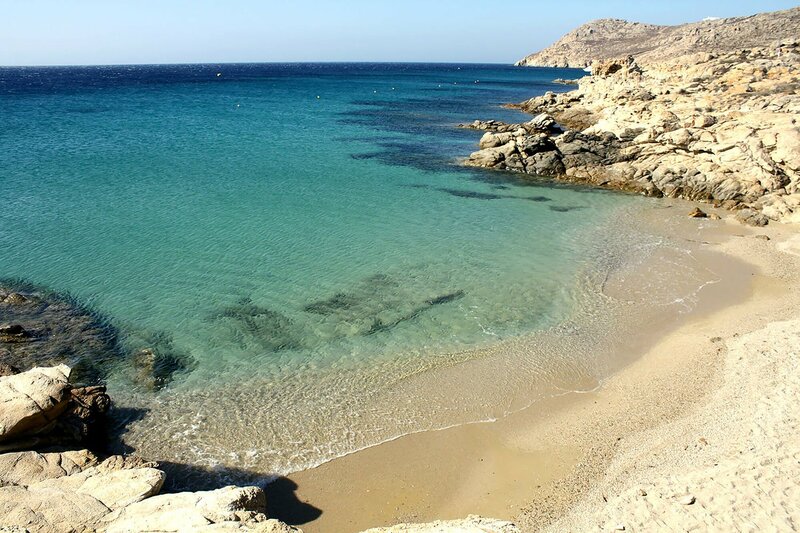 A long sandy beach located in the exclusive Agios Ioannis area, only 5 minutes walk from our properties. Wind sheltered, good for the more windy Mykonos days, it offers comfortable sun-beds and umbrellas, beach service and great views over Delos island. Ideal for couples and families alike looking for a relaxed atmosphere from morning until sunset. Kapari Beach. Small is Beautiful. Small, secluded and lovely sandy beach located at the end of the road of Agios Ioannis Chapel, only 2 minutes walk from our properties. Simple natural pleasure, there are no sun-beds or umbrellas; known to the few, a perfect spot for late afternoon romance, or a peaceful early morning swim. Steps to the Beach. Minutes to the Action. 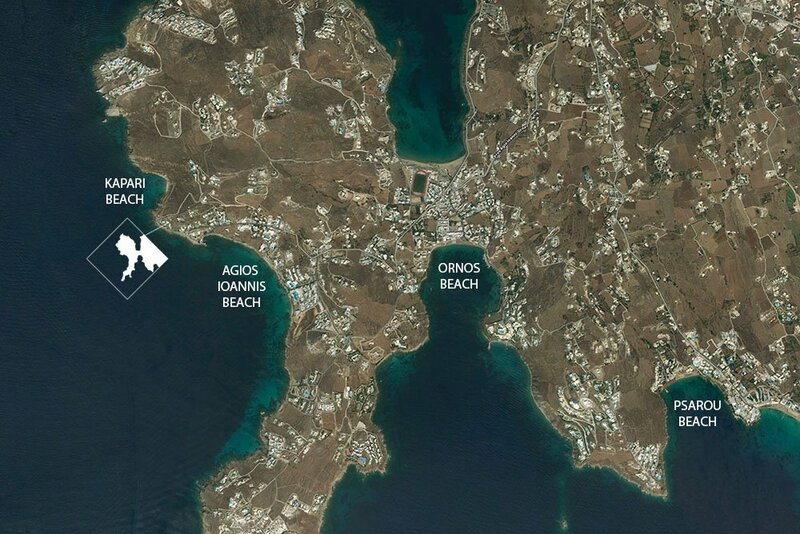 Mykonos Living properties are facing South-West and are located on a waterfront and wind sheltered position. 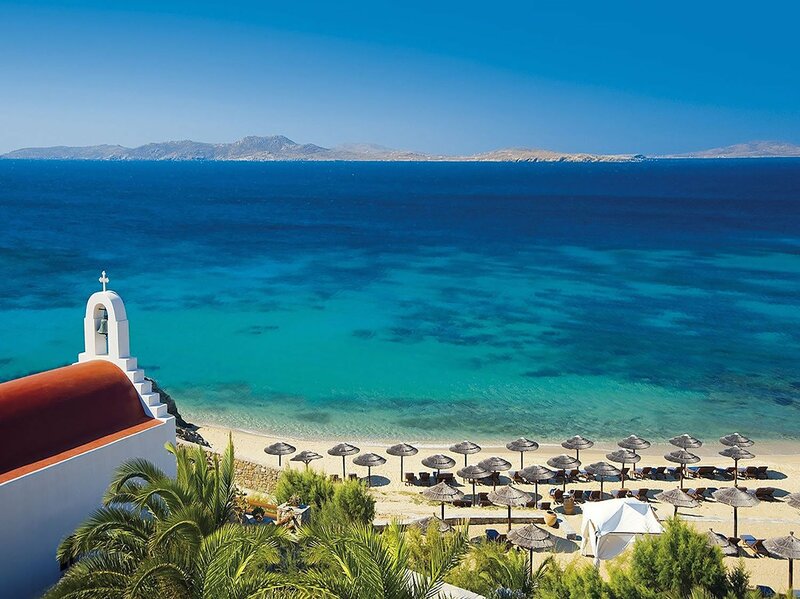 Main distances are: 5 minutes walk to Agios Ioannis Beach, 2 minutes walk to Kapari Beach, 5 minutes drive to the closest shops in Ornos, 7-8 minutes drive to Psarou Beach or Mykonos Town and 10 minutes drive to Mykonos airport.